An exciting venture with a difference! Over a year ago I was fortunate to meet a gentleman, Chris Brindle who had the drive and passion to investigate extensively the history of one of his ancestors, a once famous but now slightly forgotten Portsmouth artist R.H.C. Ubsdell. Chris asked me to work with him as his designer to produce a book cataloguing the discoveries he has made. It is a truly incredible feat which has unearthed Royal connections and that to the amazing Austen family. 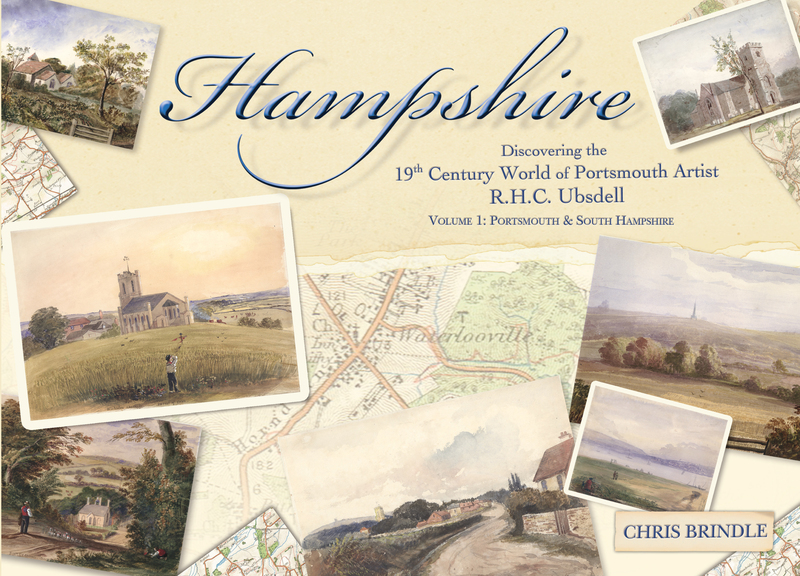 The book I have been working on is paced to explore the areas where Ubsdell painted, it plots a journey in Hampshire of the past which Chris has cleverly mixed with the present and what was and now is. It has a stunning collection of imagery, paintings from the hidden collection at the Portsmouth Museums and Records Service, Winchester Cathedral and Hampshire Records Office as well as some from the authors private collection. Chris has cleverly plotted the route from Portsmouth, up through Hampshire, the Test Valley and out towards Alton and Basingstoke. Ubsdell painted an amazing collection of churches during the 1800’s as well as the most incredibly detailed and painstakingly wonderful miniatures of many influential people including Officers from the Navy based in Portsmouth. He also unearthed a collection of paintings presented to Royality and connections to the talented Austen family. It has been an emotional, frustrating, wonderful, obessively passionate journey for Chris and I have been honoured to have designed the book he is self publishing to show the amazing life of his great great great Grandfather. 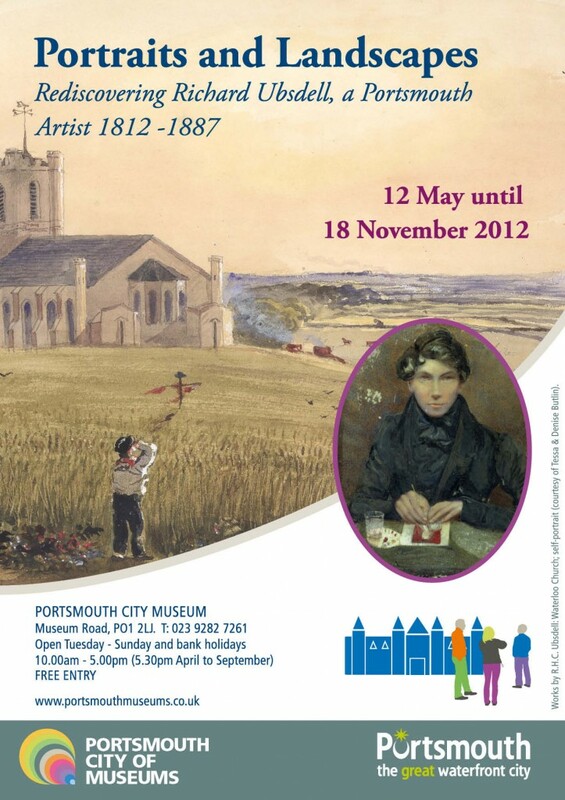 In just over a weeks time an exhibition of Ubsdell’s work is to start at the Portsmouth City Museum and the first book will be available to show people. It is still a major work in progress and one Chris is happy to develop and change as he discovers so many new things. I have had the honor of working with many talented authors and illustrators but this is such a different venture for me and I feel lucky to be a part of it. National Logo Design by Love Mee Designs NOW on show! Very exciting news this week that a logo I designed for the Federation of Children’s Books has been realeased this week! I am a member of the Ipswich Children’s Book group, children’s publishing has been my life for the past 14 years and the group in conjunction with the Federation organize some fabulous events. They recently asked if I would design a logo titled ‘POWER OF THE PAGE’ for the annual conference in 2013 that will be based in Suffolk. I jumped at the opportunity and when you see the amazing line up of authors you will understand why! Here are details of the organization which anyone interested in books and especially childrens books is free to join. Information about the conference and great links to all things children’s books can be found here too! And here is the logo! Hope you like it.